This is where you will find links to other great websites. We are not affiliated with, nor do we maintain, any of these websites. Presscoins.com only has information about pressed coins from Walt Disney World. 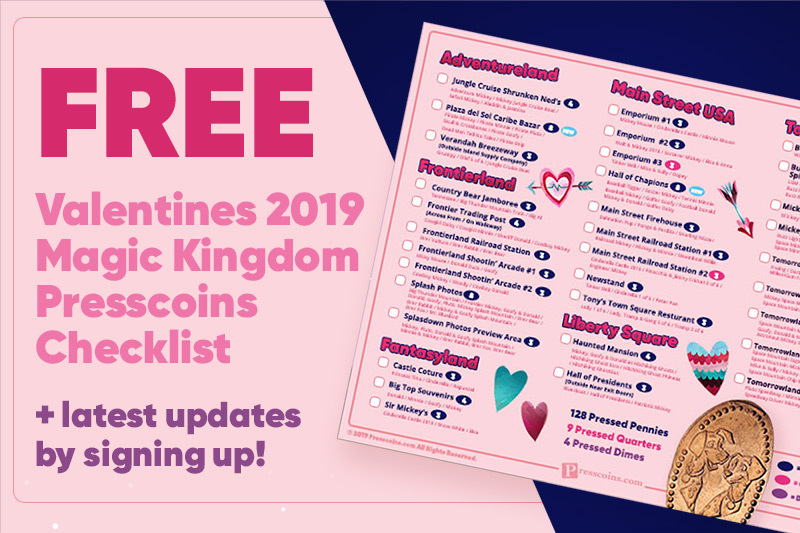 If you want to find information about any of the Disneyland parks, ParkPennies.com has excellent guides and information regarding pressed coins from any Disneyland parks located worldwide. Please click here to visit ParkPennies.com. PennyCollector.com is for the pressed coin collector wanting to obtain location and information about any elongated coins located worldwide. Please click here to visit PennyCollector.com. Presscoins.com would not exist if it wasn't for the pressed coins located at Walt Disney World. This link takes you to the offical Disney World site where you can obtain information about the theme parks, attractions, water parks, golf courses, resorts, restaurants, shopping stores and other entertainment located on the approximately 44 square miles of property that Disney owns near Orlando, Florida. Please click here to visit DisneyWorld.com. Founded in 1966, The Elongated Collectors (TEC) is a non-profit organization and club for people that love collecting elongated coins. Please click here to visit TECNews.org.